Getting red-carpet-ready starts with your skin! 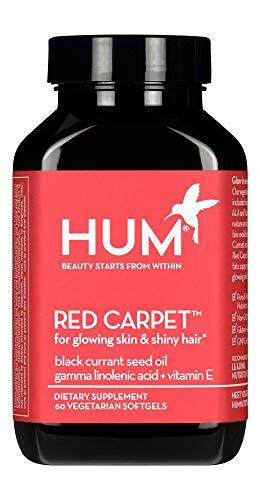 Going beyond moisturizers and exfoliators, Hum Nutrition’s award-winning formula is made from omega-3 and -6 fatty acids, vitamin E, blackcurrant oil, and sunflower seed, among other natural ingredients. Two gel capsules a day will result in stronger, healthier skin and hair, with the added bonus of these ingredients actively fighting against heart disease. Suitable for vegans. Gluten free, Non-GMO and sustainably sourced, with clinically proven ingredients.